To understand the history of the trail, look no further than the life of its namesake. John Muir was a famous 19th century naturalist and conservationist who was instrumental in the development of the National Park system and the fight to help preserve the American wilderness. Muir arrived in San Francisco in 1868 at the age of 29. He is reported to have asked directions to “any place that is wild”, whereupon he set out for Yosemite Valley on foot, carrying his staple pack with a blanket, tea, bread, and a notebook for writing. Muir made it to Yosemite, and was so enthralled by the scenery he found work as a shepherd and stayed. He spent the next several years of his life protesting the human impact on the land, trying desperately to save the forest from logging and destruction. Muir was the driving force behind the instatement of Yosemite as a National Park in 1872. 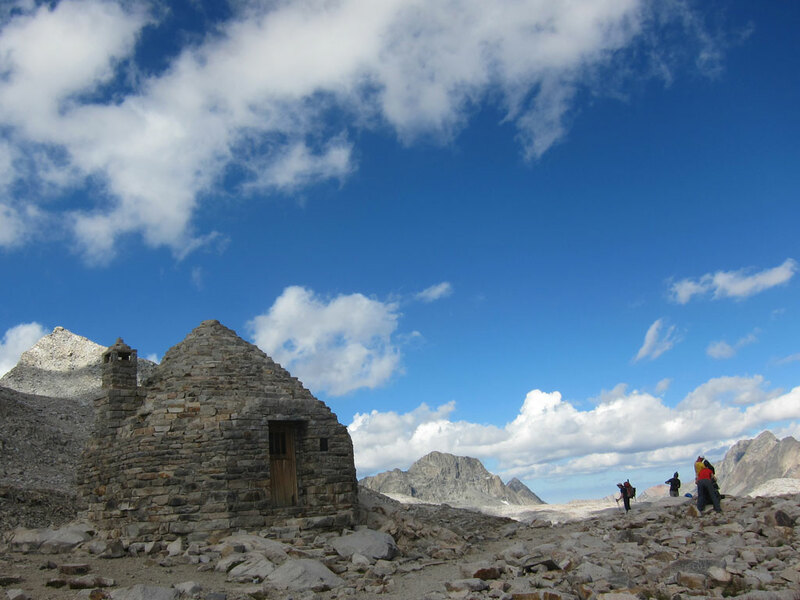 Muir founded the Sierra Club in 1892 and lobbied to establish protection of the forests and parks, as well as develop hiking routes for people to experience the beauty they had to offer. “If people in general could be got into the woods, even for once, to hear the trees speak for themselves, all difficulties in the way of forest preservation would vanish” he is quoted as predicting. John-of-the-mountains, as he was sometimes fondly referred to, was inarguably the most influential man in the history of the Sierra and its wilderness. His influence transcended his death, and in 1915 the Sierra Club won California legislation appropriating the first $10,000 for the construction of the John Muir Trail. Twenty-three years, and many man-hours later, the trail construction was completed in 1938; the year of the 100th anniversary of John Muir’s birth.